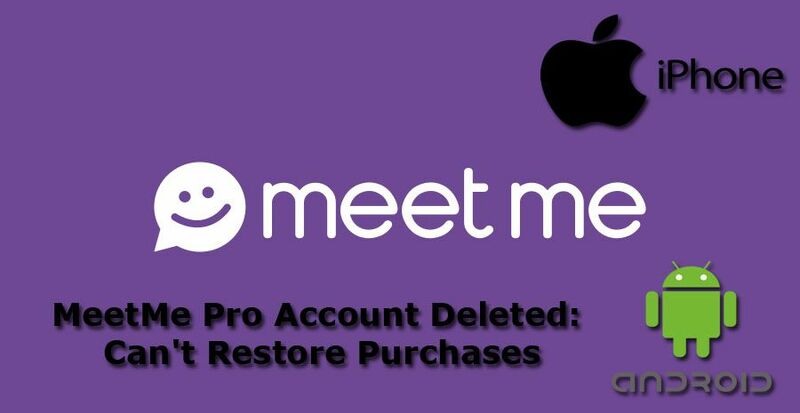 Question: My account has been deleted for meet me I don’t know who did it but somehow it was and I had purchased meet me pro and it will not allow me to restore my purchases on my new account was wondering how and if I could recover the old account. Will MeetMe Restore Purchases or Refund the Payment? Firstly, please describe all of trouble you faced with your old account. Tell them your account has removed without any notification or reason. Give them information about your recent purchase on the app. Also provide information about yourself, your old account’s registered email and your old account phone number. The information about yourself should be your name and last name, your country and your age. Provide information them as much as you can because this will make things for you and MeetMe. MeetMe already announced that, they are helping their customers with mail support. I believe they will respond a pro member soon. The answer is no and yes.I believe if they see that there is a mistake in the process, they can restore your purchases, or maybe even account… They can also refund the payment. However if you violated terms of MeetMe or if you also deleted your account with your own decision, there will be no refund or restore… If your MeetMe pro account deleted and if you also violated terms, you can’t recover anything about your old account.